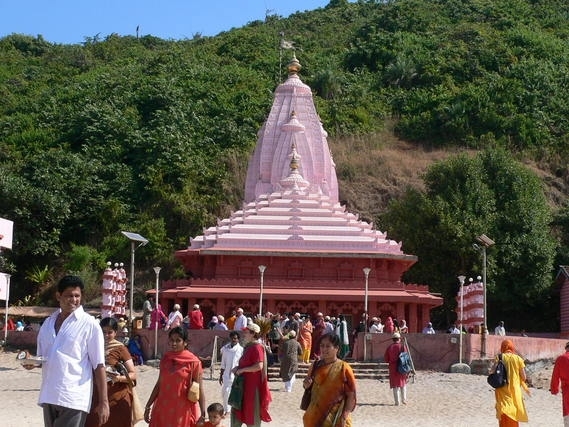 Ganapatipule is an ancient pilgrim centre on the western coast of Maharashtra known for its serene beach and its Swayambhu Ganapati temple. It is is the only location in the world where Ganesha meets the Father principle, the ocean. During the sixteenth century, a villager left his village. On his journey he stumbled upon the naturally formed Ganapati (Ganesha) swyambhu. He settled there and built a temple. People subsequently gathered and gradually settled in the area establishing the village of Ganapatipule. The temple is on the beach at the base of a hill considered sacred and a perennial spring flows from the hill to a pond besides the Temple. 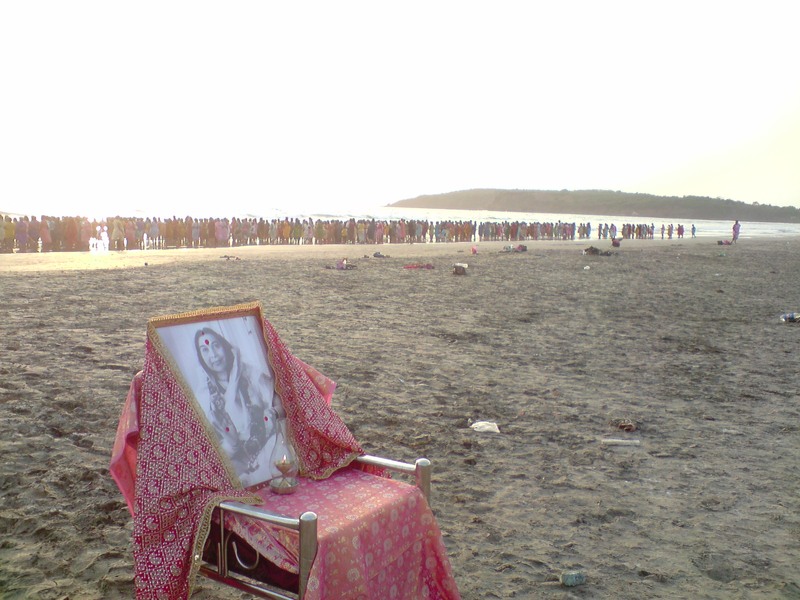 Since the mid-1980s, Ganapatipule has become the location for annual International seminars of the Sahaja Yoga meditation movement. In presence of Shri Mataji, there use to be whole week collective gathering in last week of each December. Mothers loving presence on every evening was the greatest joy for all Sahajis. “Sahaj Marriages” use to be one of the part of Collective gathering. The first seminar started with 140+ yogis which eventually reached to 10000+ by year 2003. Till now, it is a great attraction to Foreign and Indian Sahajis to visit Ganapatipule site and spend days for improving meditation.